A dive into the crystal-clear turquoise waters of the Caribbean provides the most breathtaking vertical wall terrains, world-famous mysterious wrecks, prolific sponge and coral composites, and a plethora of colorful marine life ranging from small tropical reef fish to larger pelagic fish, all mixed in with that legendary island vibe. Moreover, Caribbean dives possess some of the most optimal scuba diving conditions on Earth with visibility being greater than 1200 feet. And as far as there are dive shops on almost all of the islands, it becomes easy to set up a dive trip when you are there. Dream about swimming amongst the colors of the sea? Head to the Caribbean! 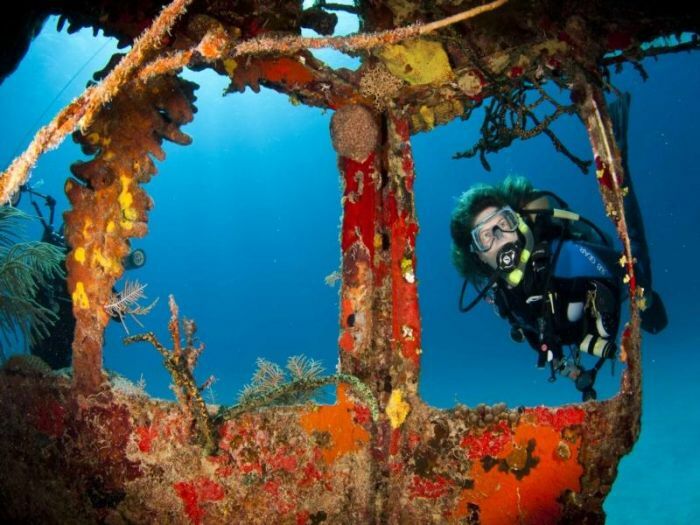 Here are 3 dive spots you should not miss out in the Caribbean. The Cayman Islands, which include the famous Grand Cayman and its sister islands – Cayman Brac and Little Cayman, enjoy flawless year-round diving conditions, spectacularly beautiful reefs and over 140 wrecks, making it perfect spot for reef diving, wall diving and shore diving. Come face to face with exotic tropical fish. Discover the friendly stingrays, tarpons and manta rays that have made diving in Cayman legendary. Did I mention how warm the water is? Water temperatures hover between 80 and 85 degrees!!! Ranked as one of the premier diving locations in the world, the Turks and Caicos Islands warmly welcome divers to explore pristine reefs, abundant amazing flora and fauna and most of all great visibility reaching to 200 feet. The archipelago comprises over 40 islands, scattered at the southern tip of the Bahamas and is surrounded by one of the most extensive coral reef systems worldwide ideal for vertical wall diving. Popular dive sites include: Salt Cay, Pine Cay, North Caicos, Grand Turk and Providenciales Princess Alexandra National Park. 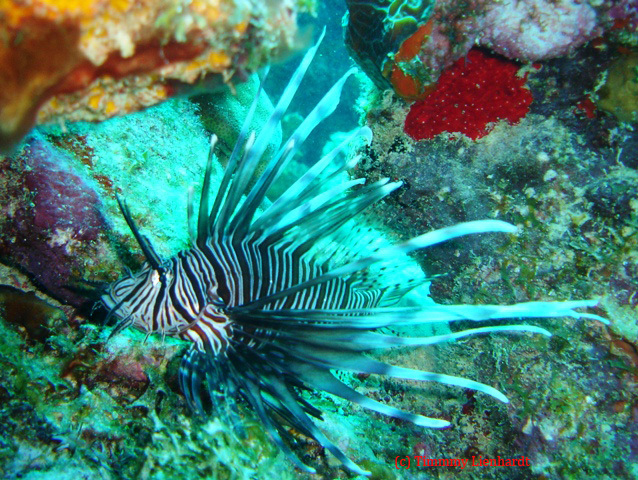 Keep in mind that no matter which island you’ll choose, a Caribbean diving experience is one that you’ll never forget! I would like to add that scuba diving in the Caribbean is very prone to dry versus hurricane season. June to October are the months you prefer not to be anywhere in the Caribbean. It is more quiet from November to May.